In most world maps and atlases used internationally today, Korea’s “East Sea” is indicated as the “Sea of Japan,” and therefore an immediate correction is warranted. To this end, it is necessary to review the historical background of the term “East Sea” and how Korea’s East Sea has been recognized by neighboring countries and other western countries in the past. Also, to prepare a strategy to change the name “Sea of Japan” back to “East Sea’” it is necessary to review the process of how the “East Sea” was unjustifiably turned into the “Sea of Japan” in the 20th century. Historically, Korea has used the term, “East Sea” in writings since 59 B.C. Examples can be found in numerous records including the Monument of King Kwanggaeto (411), the Samguk sagi (History of the Three Kingdoms, 1145) and the Samguk yusa (Memorabilia of the Three Kingdoms, 1284). Moreover, the still extant “Atlas of Eight Provinces” in the Shinjong tongguk yoji sungnam (A revised edition of the Augmented Survey of the Geography of Korea, 1530) uses the term “East Sea.” In addition, a 16th century Tongguk chido (Map of Korea) uses the term “Tong cho taehae” (Great Sea of the Lower East). A map of Yongnam (the southeastern region of the peninsula) which was made in the 1740′s and a map of Korea which was officially created in the mid-18th century also used the name, “East Sea.” Hence there is much evidence that “East Sea” has been used for centuries. According to Chinese sources, China has known of the “East Sea” since the Tang Dynasty; however, they called it just “Sea” or “Great Sea.” With the establishment in 698 of the Kingdom of Parhae by Koreans, the Chinese began calling the East Sea the “Sea of Parhae.” China used the term, “East Sea,” during the Liao Dynasty (947-1125), the Sung Dynasty (960-1279), the Chin Dynasty (1122- 1234), the Yuan Dynasty (1271-1368), the Ming Dynasty (1368-1644), and the Qing (Ch’ing) Dynasty (1644-1912). At times during the Yuan and Ming Dynasties, the Chinese referred to the East Sea as “Ching Hai” which means “Sea of Whales” because there were a lot of whales found there. During the Ming and Qing Dynasties, the Chinese referred to the northeastern area of the East Sea as “East Sea” and the southern area as the “South Sea.” Around 1884 during the Qing Dynasty, some scholars and bureaucrats occasionally used the term “Sea of Japan” in some documents. However, the Russia-Japan Treaty of 1905 was the first documented use of the term “Sea of Japan” at a government level. The “Kunyuwanguoditu” is a map printed in Beijing in 1602. It was a translation into Chinese of a world map kept by a Jesuit priest, Matteo Ricci and it refers to the East Sea as the “Sea of Japan.” It is the oldest surviving Chinese map known to use the term “Sea of Japan.” However, this map does not have much significance because it was a translation of a map made by a foreigner living in China. In addition, it is believed that the production of the map was influenced by information obtained from Japan rather than from Korea. This map did not have much impact on subsequent Chinese maps. The next time the term “Sea of Japan” appeared on a Chinese map was about 1875. Russian maps of East Asia were all created after 1639 when Russians first arrived in the Pacific coast region. In 1687, Nic Witzen’s “Noord en Oost Tartarye” refers to the East Sea as “Oceanus Orientalis.” N. Goman’s 1725 map uses the term “Eastern Ocean,” and in a 1734 map, I. Kirilov refers to the East Sea as “Vostochnoe,” meaning “east sea.” The Map of Asia printed by the renown Petersbourg Academy of Sciences in 1745 also refers to the East Sea as “Koreiskoe Mope,” or “Sea of Korea.” Other famous maps printed in Russia from 1745 to 1791 use the term “Sea of Korea.” Adam Johann von Krusenstern (1770-1846), the Russian who explored the East Sea called it the “Sea of Japan” as did the French explorer, La Perouse (1741-c. 1788), who explored the East Sea in 1787. However, the Russians called the East Sea the “Sea of Korea” in their last officially published map of 1844. Thereafter, it appears that the Russian Navy and numerous maps followed the European style in making geographical references. However, all maps published in Japan thereafter refer to the East Sea as the “Sea of Japan.” From this, it can be inferred that the Japanese government directed, as a matter of policy, that the name “Sea of Japan” be used. Especially, geographical references and names were changed in Matsuda Rokuzan’s 1854 map and his “Bankokuzenzu” of 1871. Hasimoto Chyozuki’s 1871 “Sinseiyochizenzu” calls the East Sea the “Sea of Japan.” From this, we can assume that changes were being made at about this time, because the term “East Sea” was not found in any of the Japanese maps published after 1871. Also, at about this time, references to the “Sea of Japan” began appearing in Chinese maps as well. The map which was created by Godhino de Eredia of Portugal in 1615 was the first map published in Europe to have called the East Sea as “Mar Coria” (Sea of Korea). Moreover, the East Sea is called “Mare di Corai” (Sea of Korea) in Sir Robert Dudley’s 1647 “Carta Particolare della Isola de Giapone” which was made in England. The Map of Asia which appears in E. Bowen’s World Atlas in 1744 and 1752 also refers to the East Sea as the “Sea of Korea.” The Map of the North Pacific published by J.N. Delise of France in 1750 after his exploration of Northeast Asia also calls the East Sea “Mer De Coree.” Furthermore, “Sea of Korea” appears in the first edition of the 1771 Encyclopedia Britannica. All of the aforementioned maps prove that the East Sea was widely known as the “Sea of Korea” during the 17th and 18th centuries. However, since the East Sea was referred to as the “Sea of Japan” in La Perouse’s map of 1797, maps produced thereafter in Europe began to use the term “Sea of Japan” with greater frequency. However, both “Sea of Korea” and “Sea of Japan” co-existed until the first half of the 19th century. It is difficult to find out how “Sea of Japan” replaced “Sea of Korea” in the later half of the 19th century because a review of all existing ancient maps has not been completed. However, it is believed that such a replacement was a reflection of the easier availability of information about Japan than Korea as Japan’s military power had expanded and the recognition of Japan had increased in the international community. Historically speaking, the East Sea has been used for a long time not only in Korea but also in neighboring countries such as China, Russia, and Japan, as well as in Europe. That is, the “East Sea” was the established name of the sea just as the “North Sea” is in Europe, rather than being a mere reference about direction. Moreover, it would not be appropriate to allow the term “Sea of Japan” to continue to be used. Think, for example, of the Mediterranean Sea which is surrounded by many countries. 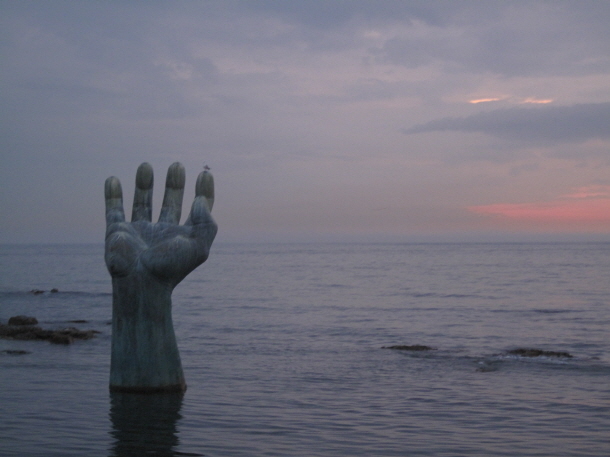 In documents written since the early 1970s, many citizens and scholars have pointed out the unreasonableness of naming the East Sea the “Sea of Japan.” Shortly after joining the United Nations, during the 1992 Sixth U.N. Conference on the Standardization of Geographical Names, the Korean Government requested that this incorrect usage be corrected. At that time, the U.N. advised Korea to consult relevant countries. Of course, Japan opposed any change in the name. Thereafter, at the 1994 New York and 1996 Geneva Meetings of the U.N. Group of Experts on Geographical Names, Korea made public the unreasonableness of using the name “Sea of Japan.” In April 1997, Korea requested that “Sea of Japan” be changed to “East Sea” in The Limits of Oceans and Seas at the 15th International Hydrographic Conference held in Monaco. Consequently, it is expected that the 1999 edition of The Limits of Oceans and Seas will reflect Korea’s request. In addition, the Korean Government continues to contact renowned map publishers, broadcasting companies, newspaper companies and magazine publishers throughout the world and to request that they use the name “East Sea” in lieu of “Sea of Japan.” Rand McNally, a U.S. map company, has started to use both “East Sea” and “Sea of Japan” in its most recently published maps.